Bat shaving is a process that involves removing the end cap and thinning out the inner walls of the bat to increase the trampoline effect that happens when a ball hits it. This will greatly increase the pop and distance of the bat. When a bat is shaved it should always be rolled first to eliminate any need for break in time. It’s not uncommon to pick up 40-50 feet of distance with a shaved and rolled bat. Shaving does shorten the bat’s life due to the thinner walls. On average you might lose about 25% of the life of the bat. A lot of people selling bat shaving services merely roll the bat and send it back making you think you are getting something you are really not. One of the top online companies advertising bat shaving is doing just that. We have inspected dozens of their customer’s bats who have sent them to us because they were unhappy with the performance. Upin inspection we learned that the bats had never in fact been shaved at all even though the customer had paid for that service. Others do a home shaving job with a drum sander attached to a drill which involves guessing how much material is being removed. This produces a very inconsistent wall thickness which results in less performance and highly increases the chance that the bat will break prematurely. When you see someone charging $50 for bat shaving services you are getting what you pay for. When you get your bat back from one of these guys and you can’t tell any difference, the bat breaks within the first 20 swings or your end cap pops off you’ll wish you had paid a little more to have it professionally done. We use a compression tester to evaluate every bat we work on. The compression reading tells you a great deal about the bat and how stiff or flexible it is. It helps us determine how much pressure to use when rolling and how much material to remove when shaving. It also helps us verify that we have accomplished the results we were hoping for or if additional rolling or shaving is needed. We use a proprietary process to remove end caps which allows us to remove nearly any cap without damaging it including the new Eastons. This allows us to reuse the original cap giving it a perfect fit and look. Most bat shavers are using old school methods which are ineffective and destroy many of the caps. This means they are using a reproduction cap which is very obvious and often times do not fit securely or crack very easily. We actually have other bat shavers pay us to remove caps for them! Shaving does remove approximately .5oz - 2oz of weight. Some or all of the weight removed by shaving can be endloaded back into the cap depending on the type of bat. Handle shaving is not recommended as the benefits are negligible and it increases the likelihood of the handle breaking. The reason why some people shave handles is to cause the handle to flex more. If you want a flexible handle bat you can just buy a model made that way as there are plenty of bats to choose from of that type. The work will normally be accomplished in 3-4 business days after you order them on average. There are times where we are experiencing heavy volume that it may take slightly longer. Please keep in mind that business days are M-F and so weekends do not count towards processing time. The bats will be shipped back via USPS Priority Mail (2-3 days delivery) unless you choose the overnight shipping option. End loading is when additional weight is added to the inside of the end cap. It can cause a pretty substantial increase in distance due to the added inertia when the bat strikes the ball. Some bats come more endloaded from the factory and some more balanced. A player should experiment with the different types of bats and how they suit his or her swing. It simply comes down to preference and there is no right or wrong when it comes to endloaded or balanced bats. When having a bat shaved some players will choose to add some endload primarily to try to keep the weight of the bat close to it’s starting weight. For example a bat weighing 27oz that might lose 1.5 oz when shaved is going to end up at 25.5oz. Some weight could be endloaded back into the cap in order to keep the bat closer to the original weight. 1 oz is the maximum amount of weight that should be endloaded on most bats. It is always easier to start with a heavier bat and shave it to a lighter weight when possible. Shaved bats should only be used in home run derbies, tournaments where there are no bat restrictions and anywhere it is legal for such bats to be used. 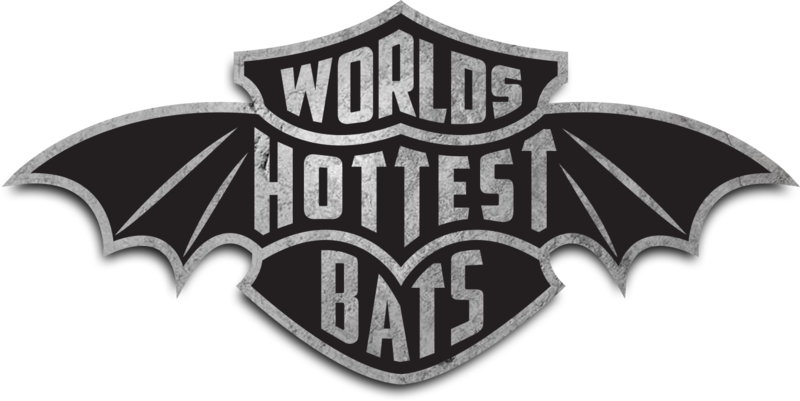 Shaved bats should not and cannot be used in sanctioned league play and tournaments where bats are certified to stay under a certain performance level or anywhere it is illegal. All customers must sign a Shaving release form agreeing that they will not use the shaved bats in sanctioned league play, tournaments or anywhere it is illegal. If you are interested in ordering bat shaving service you need to print out the shaving release form, fill it out and sign at the bottom. Before actually placing the order you will need to email us regarding your order and the let us know the type of bats you are interested in having worked on. A shopping cart button is provided for one bat shaved shipping included. The cost is $99 plus shipping. The price includes rolling and endloading if so desired. If you have multiple bats you are sending in, we do offer quantity discounts. The way to save is to send multiple bats either to all be shaved or some shaved and some rolled. An automated $80,000 professional machine shop lathe is preprogrammed to remove a precise amount of material from the inner walls of the bat. A micrometer is used to double check the final product to ensure accuracy and consistency. We had a coating specially formulated for us to treat the inside of bats after they are shaved which has been shown to increase the bat’s durability. The formula is made of the same materials composite bats are made of and then an epoxy resin is added to it for adhesion purposes. The epoxy resin seals the fibers of the composite on the bat’s inner walls which adds structural integrity to help slow down the formation of stress cracks which eventually lead to pieces flaking off and causing rattles, loss of performance and larger cracks. The composite material in the formula gives strength to the inner walls and also adds flexibility so that it doesn’t crack and flake off like a normal epoxy resin would. The inner walls will have more of their original look and feel The product itself is very expensive to make as was the process of having it developed so unfortunately we do have to charge extra for it but we think you’ll find it worth the extra cost. As soon as we launch any new innovation such as the epoxy resin coating, our competitors will immediately add it to their site. The problem is, there is no way that they spent the time developing the formula necessary to actually accomplish what the resin coating is designed to do. Please be careful when shopping our competitors, we are often copied but rarely equaled.